Illinois Attorney General Kwame Raoul and Special Prosecutor Joseph McMahon wanted to extend Van Dyke's term. In February, they filed a petition contesting the legality of his 81-month sentence imposed on January 19 by Cook County Circuit Court Judge Vincent Gaughan. Raoul and McMahon contested this decision in their petition. 6 counts would have been imprisoned for at least six years. Van Dyke, along with imprisonment of up to 96 years, would have waived a harsh sentence many protesters and activists hoped for. In their Mandamus decree, Raoul and McMahon demanded that Supreme court of the state to suspend the second murder penalty of Van Dyke, the authorities said. The petition sought to impose a penalty on each of the 16 cases of aggravated battery instead. The officer's defense claimed that the move was purely political, and that the judge had followed the law when he delivered his verdict. The shooting in 2014 triggered protests, a federal civil rights investigation and the eventual overthrow of the police commissioner. Van Dyke had argued that he had fired in self-defense after saying that McDonald had stabbed him with a knife. 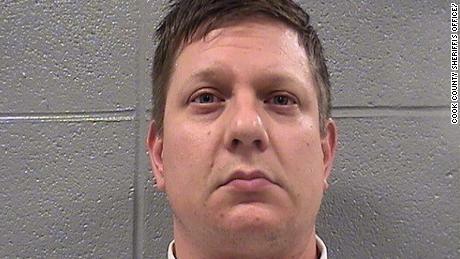 But a Chicago police dashcam video – a judge who ordered the city to release him 13 months after the shooting – showed McDonald, who walked away from the police instead of indicting them. Van Dyke shot 16 shots in about 15 seconds. The release of the video led to further protests and a national conversation about the use of lethal force by the police. Van Dyke has been in custody since his conviction in October.